Use promo code “ASC” at checkout to get 1 free month of Prestozon Premium. OPTIMIZED AD CAMPAIGNS, ZERO HEADACHE. 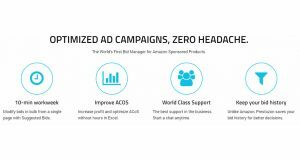 The World’s First Bid Manager for Amazon Sponsored Products. Modify bids in bulk from a single page with Suggested Bids. Increase profit and optimize ACoS without hours in Excel. The best support in the business. Start a chat anytime. 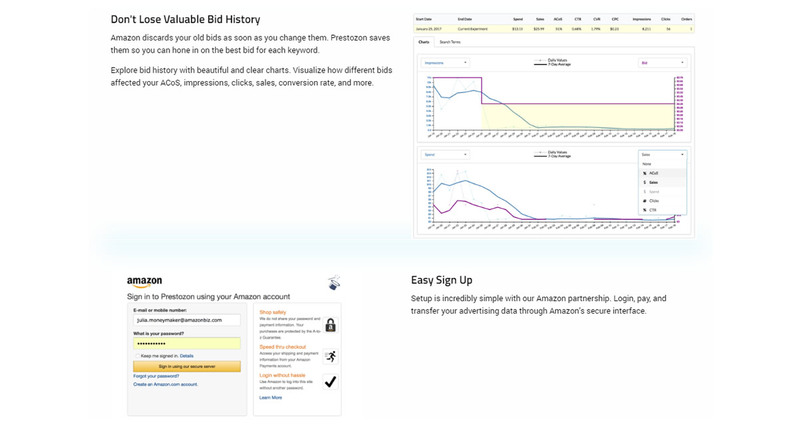 Unlike Amazon, Prestozon saves your bid history for better decisions. 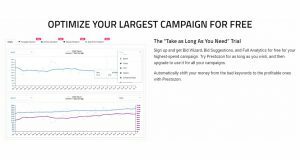 The “Take as Long As You Need” TrialSign up and get Bid Wizard, Bid Suggestions, and Full Analytics for free for your highest-spend campaign. 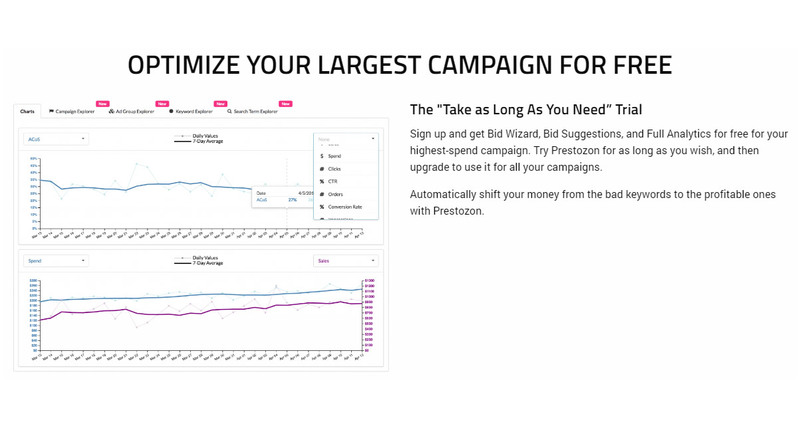 Try Prestozon for as long as you wish, and then upgrade to use it for all your campaigns. 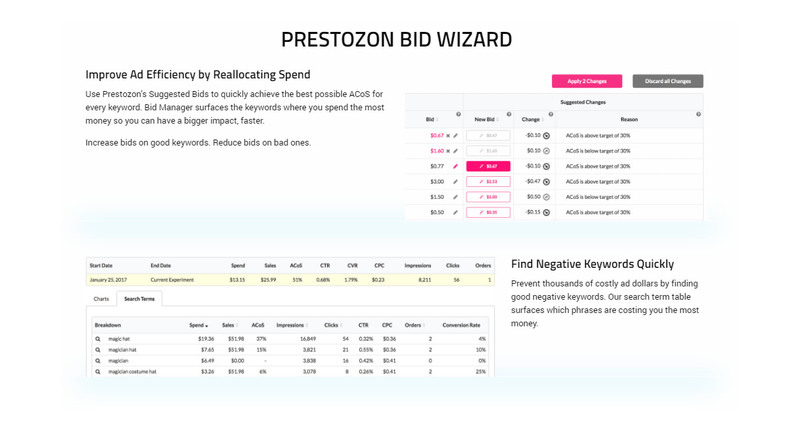 Automatically shift your money from the bad keywords to the profitable ones with Prestozon. 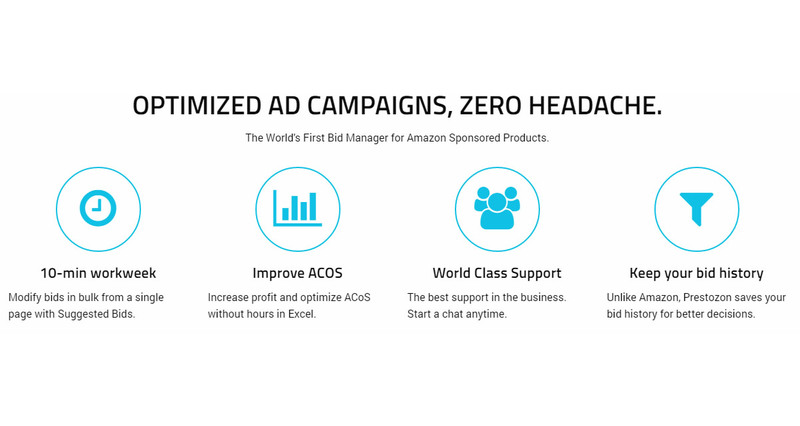 Improve Ad Efficiency by Reallocating SpendUse Prestozon’s Suggested Bids to quickly achieve the best possible ACoS for every keyword. Bid Manager surfaces the keywords where you spend the most money so you can have a bigger impact, faster. Increase bids on good keywords. Reduce bids on bad ones. Prevent thousands of costly ad dollars by finding good negative keywords. Our search term table surfaces which phrases are costing you the most money. Amazon discards your old bids as soon as you change them. Prestozon saves them so you can hone in on the best bid for each keyword. Explore bid history with beautiful and clear charts. Visualize how different bids affected your ACoS, impressions, clicks, sales, conversion rate, and more. Setup is incredibly simple with our Amazon partnership. 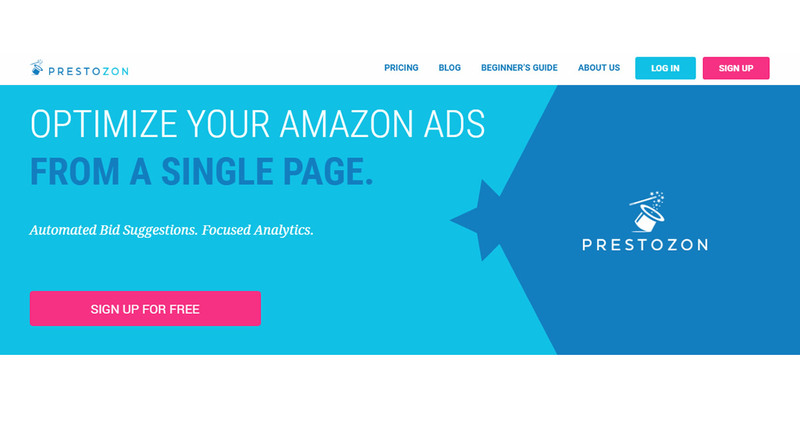 Login, pay, and transfer your advertising data through Amazon’s secure interface. This guide is a complete walkthrough of Amazon Sponsored Products. If you’ve never heard of Sponsored Products or haven’t started a campaign before, start at the beginning. By the end you’ll know everything you need to run profitable campaigns. 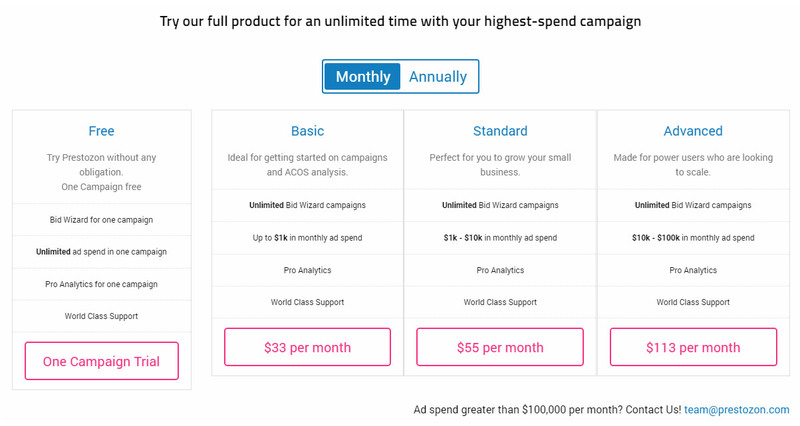 If you already know how to set up campaigns, skip right to the part about optimizing. Something specific in mind? Search within this page by command+f (Mac) or control+f (Windows). 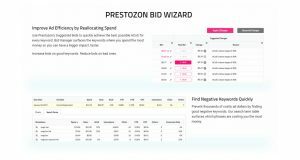 Q: How much does it cost?Bid Wizard pricing is simple and based on ad spend so the price is never too big for you. 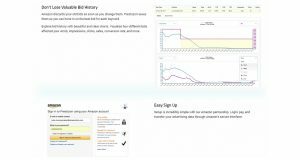 Prestozon Analytics is free for all plans. 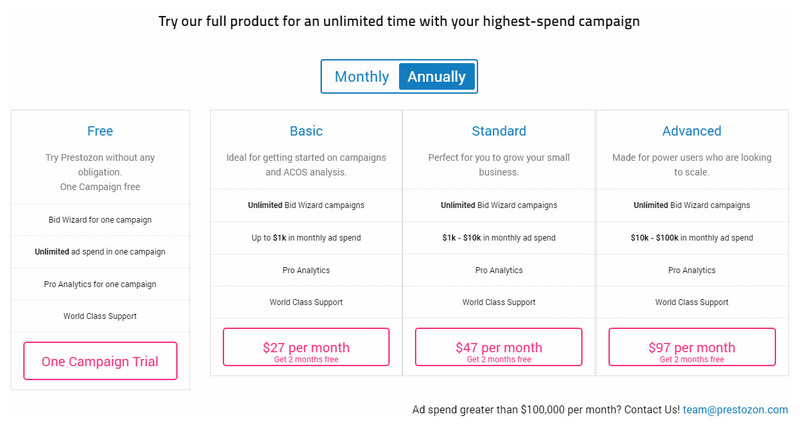 The lowest tier is just $33 month-to-month. 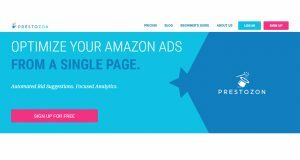 Q: What data access do you get?Our software will only be able to access the Advertising API on Amazon, so we can’t see your product listings, customer data, or anything else. Just your ad campaigns. This is far less access than you need to give to TaxJar, PPCScope, JungleScout, etc. We don’t get user account access or even other API access. Q: Where do you get this data?With your permission, we get all data via the new Amazon Advertising API (automated communication with Amazon), which is far more detailed than the reports in Seller Central. We do not have access to any other data such as your overall sales, shipping, or SKUs with no ad campaigns. 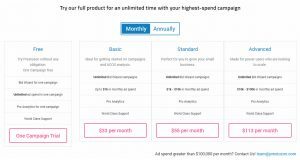 Q: How is my tier determined?Your tier is based on how much you spent on Amazon Sponsored Product ads over the prior 30 days. 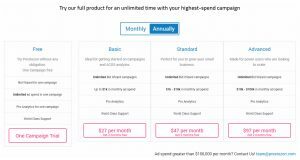 At the beginning of each billing cycle, we look at how much you spent and bill you at that tier for the coming month.It works this way for the annual plan too — we base the yearly billing on the past 30 days of ad spend. Q: What if I spend more than my tier’s monthly spend limit, like during the holidays?If you spend more in a month, we’ll simply bill you for the difference to the corresponding tier just for that month. The following month you’ll be back to your normal tier. If you are on a yearly plan we bill you the difference to the monthly plan for that period. No interruptions, and you don’t have to speak with a salesperson. Q: What if I manage multiple accounts?You’ll need to sign up for Prestozon for each account, and you’ll be billed separately per account. For example, if you are a PPC consultant with many client accounts, you’ll be billed separately for each. Spend is not aggregated across accounts. Q: What’s your refund policy?We will do whatever we can to make sure you are happy with Prestozon. But if for any reason you’re not satisfied with the product within the first 30 days, let us know why and we’ll refund your whole subscription. Q: I sell in multiple countries (marketplaces). Are these profiles all included in my account subscription?Yes. All profiles in your account are included in your subscription. So if, for example, your company sells into the US, Canada, and UK markets, all three profiles will appear in your account’s dropdown menu. You’ll be able to view them separately. Q: Do I have to sign a contract?Nope. No contracts, no cancellation fees, and no fees for setup. We don't have wiki content for Prestozon yet. Are you familiar with Prestozon? Please quickly share in your own words what Prestozon is all about! Share in your own words what Prestozon is all about.